Montmartre was written at Mass MoCA in the summer of 2009, during the first-ever assemblage of Roomful of Teeth. I came up for the second week of their 2-week residency, not knowing what the group was capable of doing — a forgivable sin since the group itself was just beginning to learn their own abilities and capacities. With me, I brought some sketches that I felt could be adapted to whatever sounds I heard the singers produce; these were études of sorts, studies in rhythm and harmony that left a lot of room for different sounds in different places. Once I heard what the group was able to do, I adapted some of these with their varied techniques in mind, creating fully-formed pieces that combined my sketches with the sounds of the ensemble. Montmartre is an exploration of sound and color, opening with a counterpoint between throat-singing men and yodeling women, then moving on through a variety of more familiar vocal production techniques, belted and bell-like. I named the work after the famous Paris neighborhood because it’s where the concepts of sound and timbre were finally elevated to their rightful place alongside harmony, counterpoint, and voiceleading in the Western classical tradition. 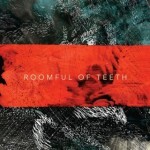 French composers in the early 20th century wrote pieces that were open to sounds they heard from around the world; now, Roomful of Teeth is doing the same kind of exploration with the human voice.